My username on Ravelry is chelle-chelle, you can find my designer page under Michelle Wong. All free patterns are available in either PDF format or directly in the blog post. You can view them in your web browser or right-click on the link and choose Save As to view the file on your own computer. You can also print out the file to have a working copy so you can work on the project while not on the computer. Not sure about the difficulty levels? I use the definitions from the Craft Yarn Council of America. An easy-to-make crocheted cowl, all you need is bulky weight yarn and an appropriate hook. Make one for yourself or for a friend, a cowl is a great accessory to have on a windy day. Interested? 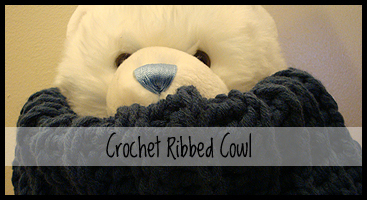 Click to go to the Crochet Ribbed Cowl pattern. Looking for a hat in a simple style? Inspired by the classic cloche of the 1920’s, the Ruse uses a few simple stitches to create a hat that is both stylish and quick to crochet. Interested? 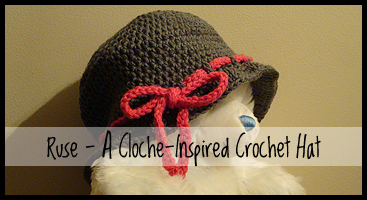 Click to go to the Ruse – A Cloche-Inspired Hat pattern. Create a unique hat for the best doll in the world, Blythe! This hat can be scary or cute, depending on how you decorate it. Sized for Neo-Blythe dolls, this is sure to be a cute addition to any dolly wardrobe. Interested? 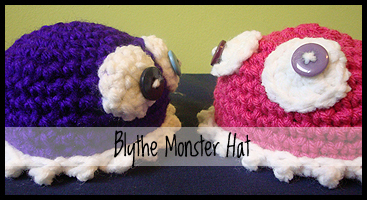 Click to go to the Blythe Monster Hat pattern. A little filet goes a long way and the A Little Filet Crochet Scarf is a great way for crocheters to learn and master the technique of filet crochet. You get to learn something new and get a great scarf when you’re done! Interested? 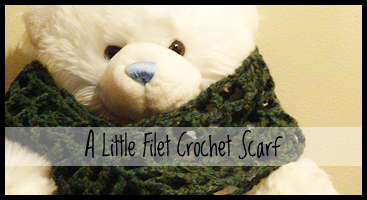 Click to go to the A Little Filet Crochet Scarf pattern. Beginner projects don’t need to be boring or overly simple. With a nice combination of new-to-you stitches, you can make yourself a stylish scarf that will help you practice new crochet stitches (hdc, dc, tr) while coming up with something more intricate than a scarf made out of single crochet stitches. Interested? 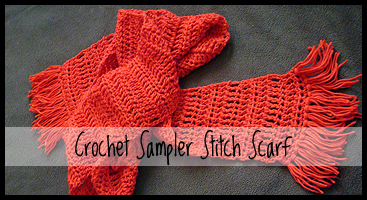 Click to go to the Crochet Sampler Stitch Scarf pattern. Hi Kathy, I’ve sent you an email regarding using the Cloche Hat pattern for selling finished goods. I just maid the cloche hat. I tried using an H hook at first but the gauge was too small and tight so I finally used a J. The hat came out large, which fit me but I really want to make hats for cancer patients so maybe the acrylic yarn I used was wrong? I don’t want to use wool because a lot of people can’t handle wool next to their skin. I’m not very experienced with yarn terms, like worsted. I want a soft yarn for this and would appreciate any suggestions about yarn and if you know of any other simple crochet hat patterns. I have a lot of time on my hands these days, as I’m also a cancer patient, but my chemo doesn’t cause loss of hair. I’d just like to start giving back to other patients. Thanks for your time. Sorry, that should have been ‘made’ the cloche hat. fatigue, difficulty breathing, edema, and poor memory. unioque in these modern years.